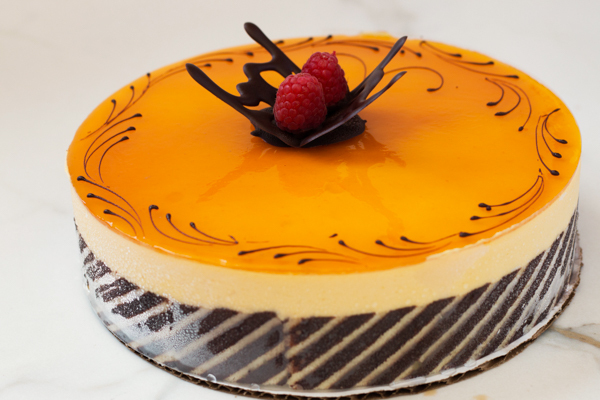 A soft sponge base (Italian Meringue) layered with a delicate mango and passion fruit mousse. Finished with a mango glaze and a chocolate butterfly. A light and refreshing dessert. Alternate Sizes : Mango Mousse Cake Mango Mousse Cake - 10" Mango Mousse Cake - Individual Mango Mousse Cake - 6" Mango Mousse Cake - 8"